There's a reason it's called a great room. (If they called it a so-so room, who'd want to linger?) You know it when you see it — it's the large, centrally-located room that's part living, part dining, and part family room. 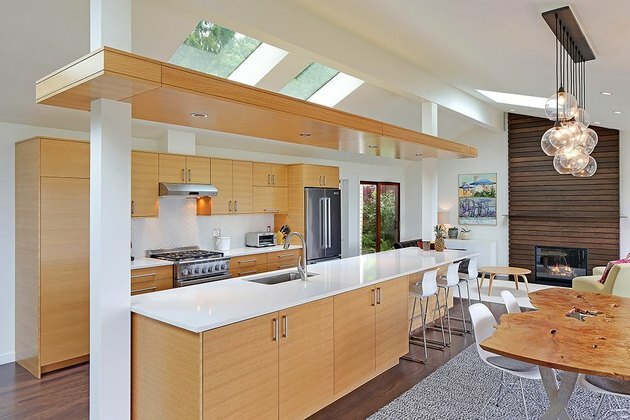 In the day and age of the open floor plan, it's all-great-room-all-the-time — people just don't talk about it that way. Originally, the great room was a feature of big, new construction homes in the late '80s and '90s. 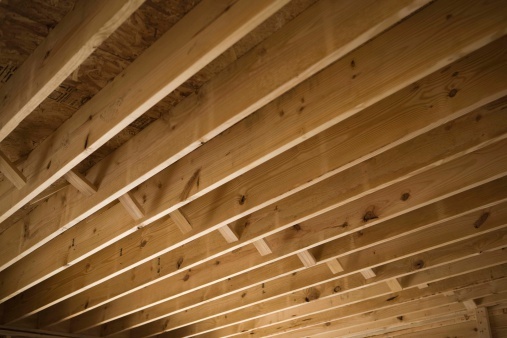 (In fact, The New York Times called great rooms, "the McMansion's signature space." Ouch.) Now, almost every era of home or apartment has been renovated for that signature open feel. But the concept dates back much further, back to Eichler and Frank Lloyd Wright, who were early champions of the modern, casual, multipurpose room. 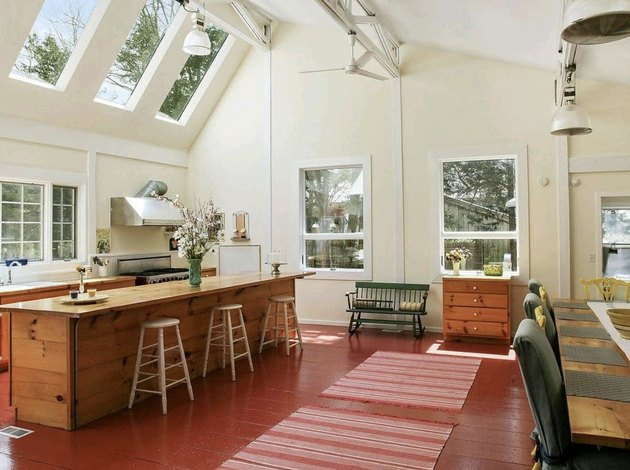 This renovated 1950s barn for sale in East Hampton, New York, features not one but two living rooms, in addition to a great room, with its soaring ceilings — double-height or vaulted ceilings being a classic fixture of the great room. In Truro, Massachusetts, 1960s home, renovated by Hammer Architects, features floor to ceiling glass walls that truly bring the outside in. 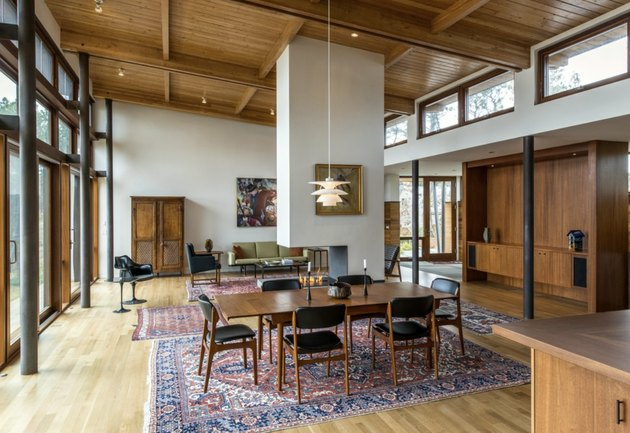 Rugs help define the open space, which sits around the central fireplace. A great room typically means maximum entertaining space. 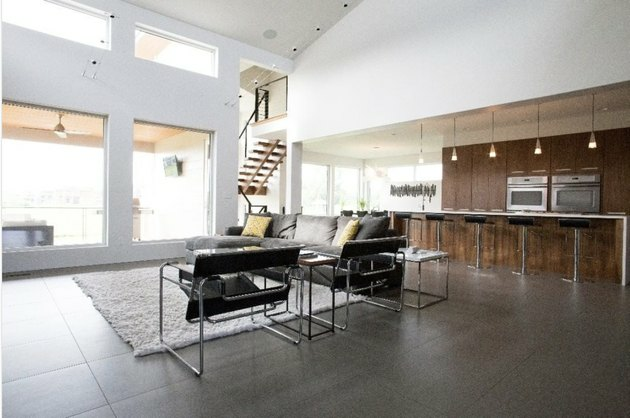 In Des Moines, Iowa, this modern home by Aller Design Group is the perfect example with it's vast, open layout. The heart of this stunning mountain modern home outside of Park City, by Studio McGee, is the great room, which is tied together by a cohesive palette of neutrals. 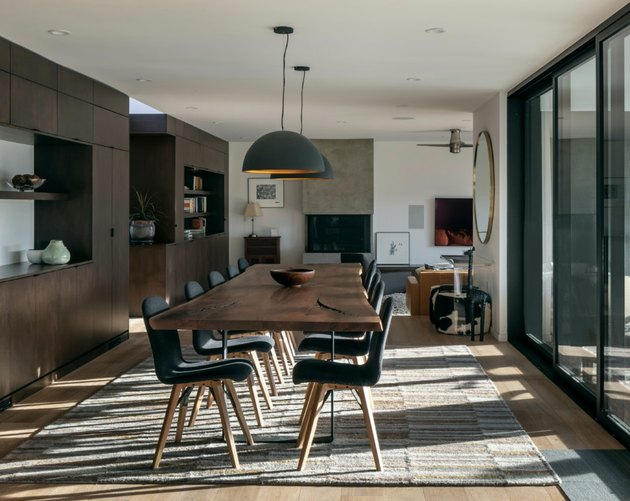 In this Seattle Home, by Might House Construction, the great room is deemed "a collaborative space for entertaining, dining, and gathering." 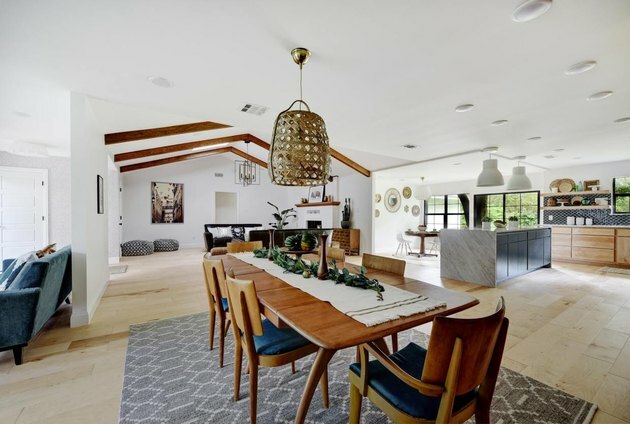 In this modern ranch house in San Jose, by building Lab, inc., the kitchen, living and dining areas are connected but ever-so-slightly defined so as not to feel too open — a common complaint about great rooms. 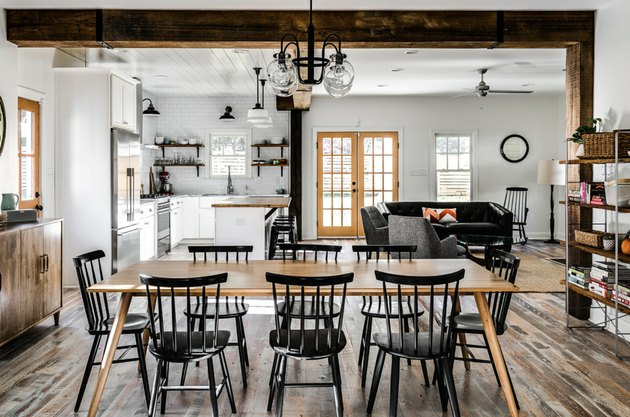 This modern farmhouse remodel in Richmond, Virginia, by the Cobblestone Development Group, exposed beams help break up the different spaces within the great room. This Austin, Texas, remodel, by Melisa Clement Designs, uses a step-down to break up the great room. "Ultimately we just went with it, and I'm digging how it gives a little variation and interest to the floor plan now," she says.